The Servicemembers Civil Relief Act Centralized Verification Service recently passed an important milestone after processing its millionth batch order. Working with the Servicemembers Civil Relief Act Centralized Verification Service to check military status and obtain relevant paperwork for court couldn’t be simpler. 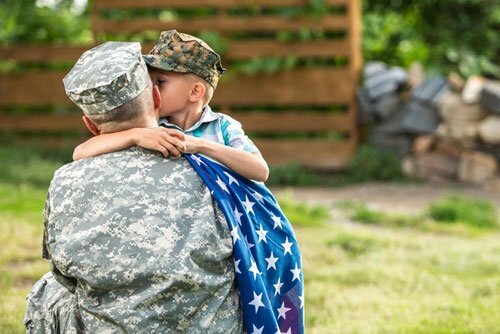 There are a number of reasons to work with SCRACVS instead of the Department of Defense Manpower Database, particularly if your business needs to process multiple requests or if you don’t have all of the information that the DMDC requires to produce an affidavit as to military service. Perhaps the best reason to choose the SCRACVS is the convenience factor. Checking military status through the DMDC is often interrupted by disruptions in service and can result in a certification that has disclaimers that a court might reject. This unwelcome rejection can add months to the processing time because you would have to start all over. When you receive raw data from DMDC, you are faced with the prospect of integrating the data into the data base you have spent so much time and money developing. By contrast, SCRACVS can integrate directly with a company database. This means making a few clicks to allow us access or send the database over and that’s it! We take it from there, verify active duty military status, enter the information that we find back into the database and send it back to you. We can even perform new, regular searches on your database in order to keep you up to date in real time! While the SCRACVS is a paid service and the DMDC is not, the time that you can save by working with us is likely to be well worth the cost. Paying an employee or group of employees to check military status via the Department of Defense’s tool is a hidden cost that is difficult to measure and that can add up quickly. By contrast, SCRACVS does batch processing quickly, effectively and at a low, defined cost. There is also a specific area in which the SCRACVS adds value that cannot be obtained through the DMDC. To receive a certification as to military status from the DMDC, clients need to possess a potential servicemember’s name and social security number. Without both of these crucial pieces of information, the DMDC cannot give an affirmative answer that may be used in court, limiting the database’s usefulness to a company or individual doing business with servicemembers. If you do not possess the social security number of a person for whom you would like to check military status, the Servicemembers Civil Relief Act Centralized Verification Service can help to solve your problem. Using peripheral information about a subject that you may have, like date of birth, residence, etc., we can help to positively identify that subject’s correct social security number. This allows us to produce an affidavit as to military service that you can use in a court hearing. Does your court require an affidavit? Only the SCRACVS can do this. The DMDC does not issue affidavits. Time is money, especially in business. Working with the Servicemembers Civil Relief Act Centralized Verification Service can help to save you both and ensure your compliance with this important law. We’ve already been trusted with one million batches – isn’t it time you trusted us with yours?